Northbound commercial vehicle traffic on the Coquihalla Highway is often required to chain up in advance of steep grades climbing to the summit during poor weather. During big storms or periods of heavy traffic, the current chain up area can become overwhelmed. That’s why we’re expanding the Box Canyon Chain up Area to accommodate up to 70 commercial trucks. Construction is already underway and includes the addition of new deceleration and acceleration lanes, as well as new washroom facilities and more parking. 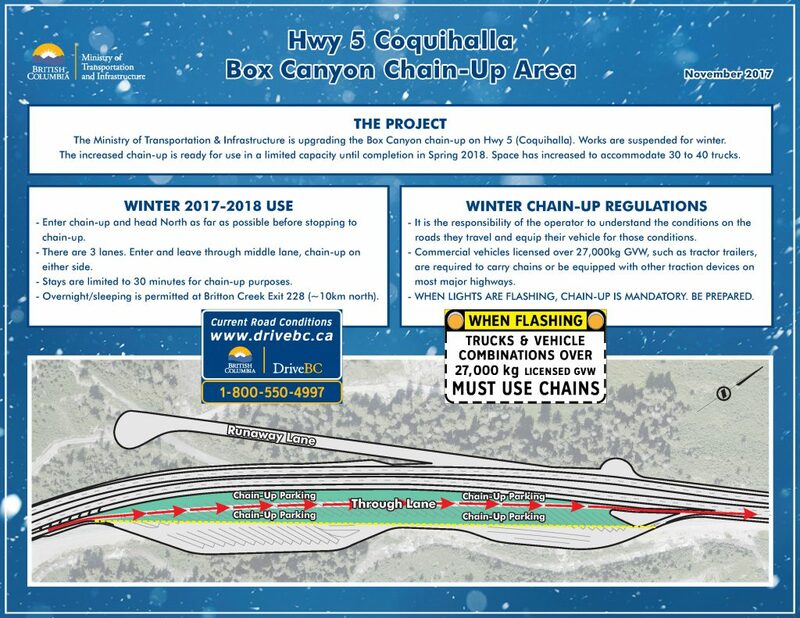 This larger chain up area will give truckers a safe place off of the highway and outside of avalanche paths to install and remove chains. 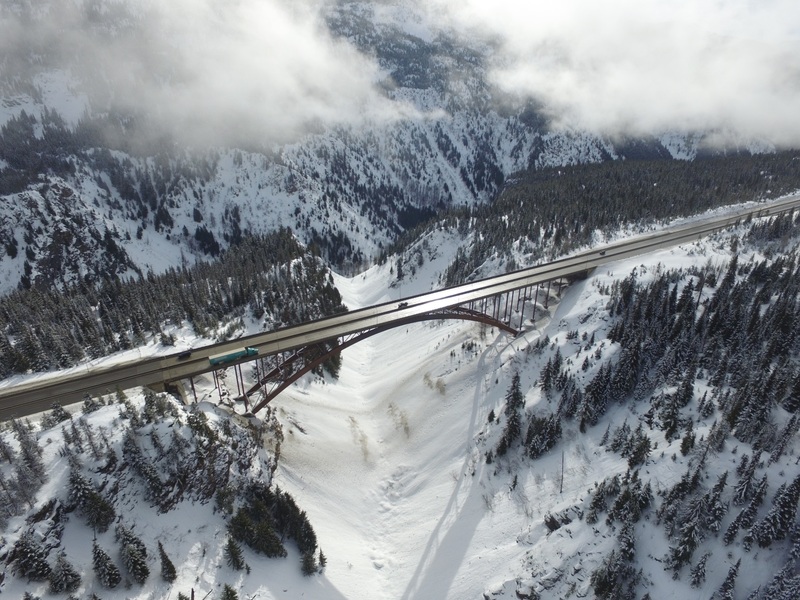 This stunning structural steel arch bridge was built in 1985 as part of the Coquihalla Phase 1 construction, and this project is the first major rehabilitation on the structure in over 30 years. We’ve scheduled deck resurfacing of all four lanes and replacement of abutment bearings and expansion joints between April and October of 2017 and because we will have to shut down parts of the bridge surface to do the work, travellers may experience a bit of a pinch point here. Because the bridge deck width will be decreased during rehabilitation, during peak hours, vehicles 3.2 m or wider will have to take an alternate route or travel at another time of day. These restrictions will be signed entering the corridor as well as on DriveBC. Our goal is to keep you moving as smoothly as possible but please be aware that you may experience delays, particularly during long weekends or during peak-travel times. When delays do occur, they could be 30 minutes or longer. We’ll be communicating delay times on our overhead messaging boards outside of Hope and Merritt and on DriveBC as well as pictures and video of project progress on our other social media channels so, if you aren’t tuned in to us on Twitter or Facebook – now’s a great time to start! We’ll keep you updated as work unfolds. BC Highway 5 is a divided highway which makes it difficult for motorists to turn around once stopped. 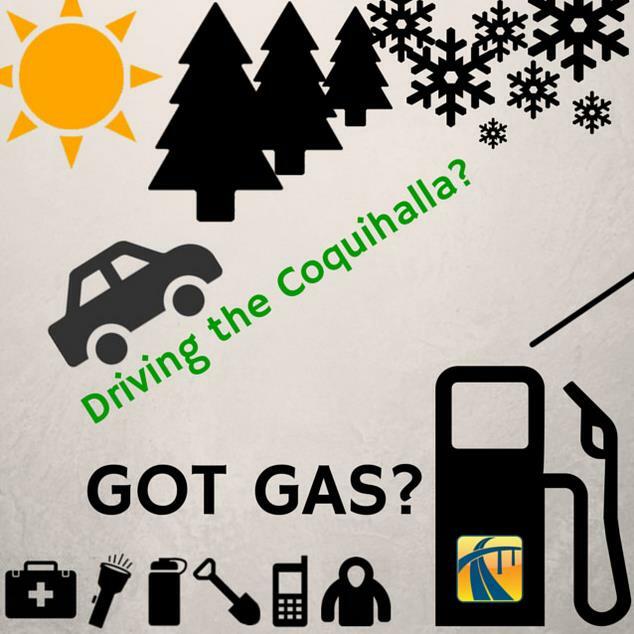 If delays are significant on the Coquihalla, we will do our best to make sure you know before you head up the hill. There are alternate routes you can take instead of the Coquihalla, but bridge work on Highway 1 in the Fraser Canyon and on paving near Princeton on Highway 3 during the summer may also mean delays. We think that this minor pain for long term gain will be worth it and we hope you agree. If you have any comments or questions about this or any other work we do, let us know in the comments below. I’ll be driving to Sicamous Monday morning, June 5, 17, and Drive BC says my fastest route is to take the Coquihalla; however, my Map app on my iPhone which will be giving me directions isn’t giving me this option, and says that the hwy is closed a little more than half way between Hope and the Coquihalla River Recreational Area. Are you able to confirm this? My second quickest option is to take the Trans-Canada all the way, but it’s over an hour longer, and appears to have many icons indicating roadwork, etc. Thank you for your time and assistance! Sorry, I meant between Hope and the Coquihalla Summit Recreational Area. We plan to leave Hope at 7am, if this helps. Oh dear, we got this message on Monday morning after 7 am. Hope your travels went smoothly regardless of which route you chose. Thanks for connecting with us here. Hope this isn’t too late. Not sure what Google maps uses for reporting their road conditions but DriveBC is our travellers tool and as of today it doesn’t show any closures but does list construction at Box Canyon that could mean delays of up to 20 minutes. Still a time savings when compared with the Fraser Canyon route. Hope that this helps. Safe travels! 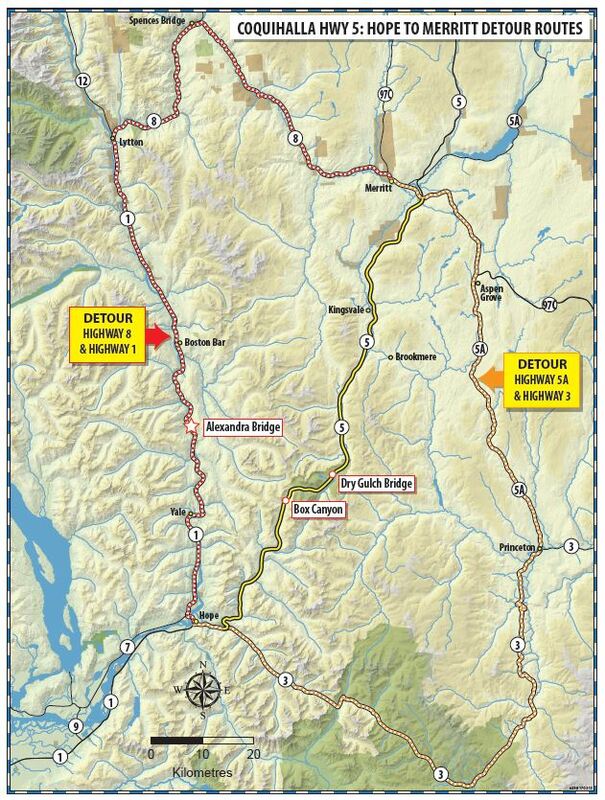 We are planning a trip to Chilliwack and I’m unsure as to whether Highway 5 will be closed and one must take either detour or will it be opened? Will the best time to go straight through on Highway 5 without much delay be late at night or very, very early in the morning? Thanks! Highway 5 will remain open but you might experience delays of no more than a half an hour. DriveBC is an excellent source of up to the minute information on the Coquihalla and any anticipated delays will be posted there. You can also have a look at the webcams along the route to see what conditions are like before you go. Hope that this helps! Thanks for this suggestion and for connecting with us here to share it. We have sent it forward to the area manager for consideration.